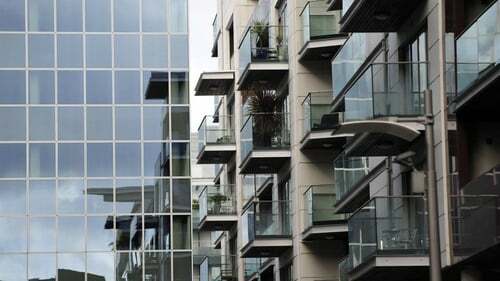 Ireland's biggest private residential landlord, I-RES REIT, has said that revenue from its investment properties rose to €44.7m for the year to the end of December, up from €38.8m the previous year. The company's profit for the year rose to €65.1m from €47m and it reported basic earnings per share of 15.6 cent, up from 11.3 in 2016. The group's residential occupancy levels rose to 99.8% at the end of 2017 and it noted that its overall average monthly rent stood at €1,517, up from €1,427 in 2016. During the year, the company completed the construction of 68 apartments at Block B2B, Beacon South Quarter in Dublin's Sandyford, which was fully leased by August. It said that alternative designs for the construction of apartments and commercial space at Rockbrook in Sandyford, Dublin 18 are in progress. The group also bought a 4.5 acre development site in Hansfield Wood in Dublin 15 in November for €7m, and agreed a deal to develop 99 residential units on the site. These will be handed over to I-RES on a phased basis with all units completed by August this year. "The I-RES Strategy, which we are executing successfully, is to acquire and develop high quality assets in attractive neighbourhoods with good transport links and to deliver exceptional service which helps transform the residential rental sector in Ireland," commented the company's new CEO Margaret Sweeney. The CEO said the company continues to invest strongly in the supply of apartments and houses for rent through a combination of acquisitions and build to let. "In 2017, we successfully completed and fully let The Maple, our first development, while also commencing construction on our first project where we partnered with local developers to deliver Hansfield Wood - a 4.5 acre, 99 unit residential development," Ms Sweeney said. "These projects are illustrative of our strategy to invest in our assets through intensification, developments on existing I-RES properties, continued accretive acquisitions, and as opportunities arise, investments in urban centres outside of Dublin," she added.